The modern Chinese state has traditionally affected every major aspect of domestic society. With the growing liberalization of the economy, coupled with increasingly complex social issues, there is a belief that the state is retreating from an array of social problems from health to the environment. Yet, a survey of China’s contemporary political landscape today reveals not only a central state which plays an active role in managing social problems, but also new state actors at the local level which are increasingly seeking to partner with various non-governmental organizations or social associations. This book looks at how NGOs, social organizations, business associations, trade unions, and religious associations interact with the state, and explores how social actors have negotiated the influence of the state at both national and local levels. It further examines how a corporatist understanding of state-society relations can be reformulated, as old and new social stakeholders play a greater role in managing contemporary social issues. 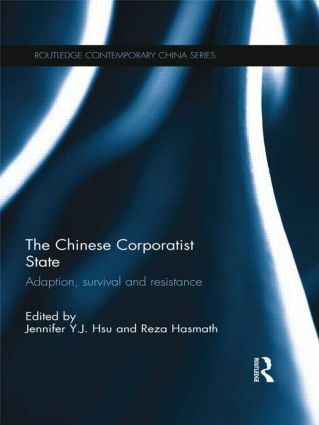 The book goes on to chart the differences in how the state behaves locally and centrally, and finally discusses the future direction of the corporatist state. Drawing on a range of sources from recent fieldwork and the latest data, this timely collection will appeal to students and scholars working in the fields of Chinese politics, Chinese economics and Chinese society. Jennifer Y.J. Hsu is an Assistant Professor in Political Science at the University of Alberta, Canada. Reza Hasmath is a Lecturer in Chinese Politics at the University of Oxford, UK.